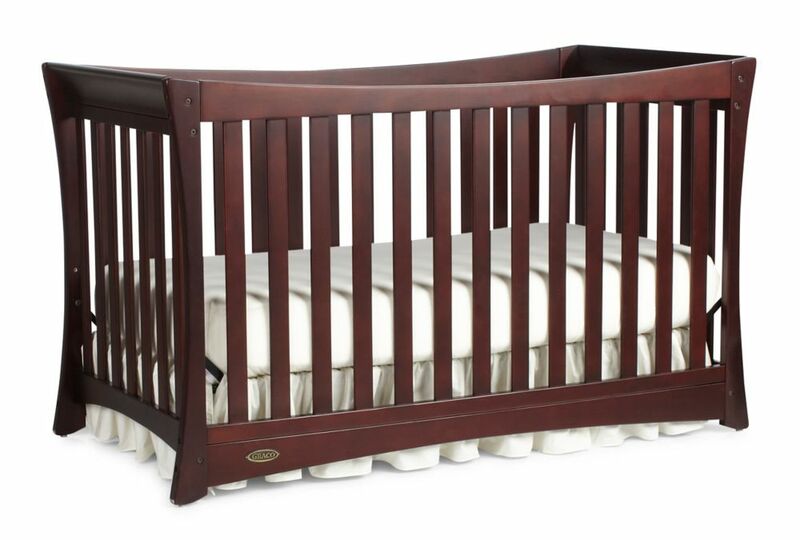 The Graco Tatum Fixed-Side Convertible Crib is the perfect choice for the modern nursery. Boasting subtle curves and sleek lines, this low profile crib provides easy access to baby while adding style to your baby's room. The Tatum is versatile and will grow with your child as it transitions into a toddler bed, a daybed and a full-size headboard with footboard for use for years to come. The Graco Tatum Crib is JPMA certified and is compliant with all CPSC and ASTM safety standards to ensure the safest sleeping environment for your child. Tatum Convert Crib-Espresso The Graco Tatum Fixed-Side Convertible Crib is the perfect choice for the modern nursery. Boasting subtle curves and sleek lines, this low profile crib provides easy access to baby while adding style to your baby's room. The Tatum is versatile and will grow with your child as it transitions into a toddler bed, a daybed and a full-size headboard with footboard for use for years to come. The Graco Tatum Crib is JPMA certified and is compliant with all CPSC and ASTM safety standards to ensure the safest sleeping environment for your child.